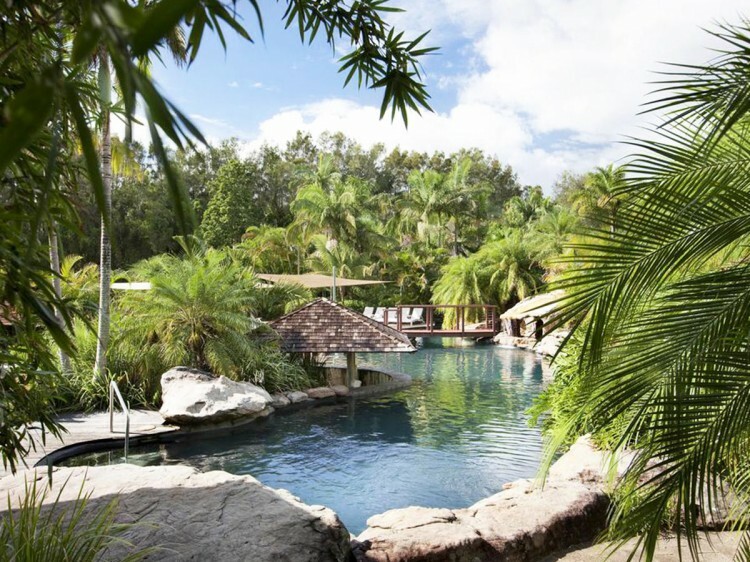 Positioned on absolute beachfront with magnificent ocean views and surrounded by acres of wide open parklands, BreakFree Aanuka Beach Resort at Coffs Harbour on the NSW North Coast is a resort you'll never want to leave. BreakFree Aanuka Beach Resort offers a tasteful blend of health, recreation and relaxation with superb accommodation. The resort's combination of endless recreation facilities, health and beauty retreat, stylish accommodation from hotel rooms and beach bures to villas and apartments, and array of dining choices with a signature restaurant and alfresco café on-site, offers something for everyone. Beach lovers can enjoy the seclusion of picturesque Diggers Beach which is literally at the resort's doorstep or sit back on the terrace with a long drink and admire postcard views of the sweeping lawns stretching down to the beach. 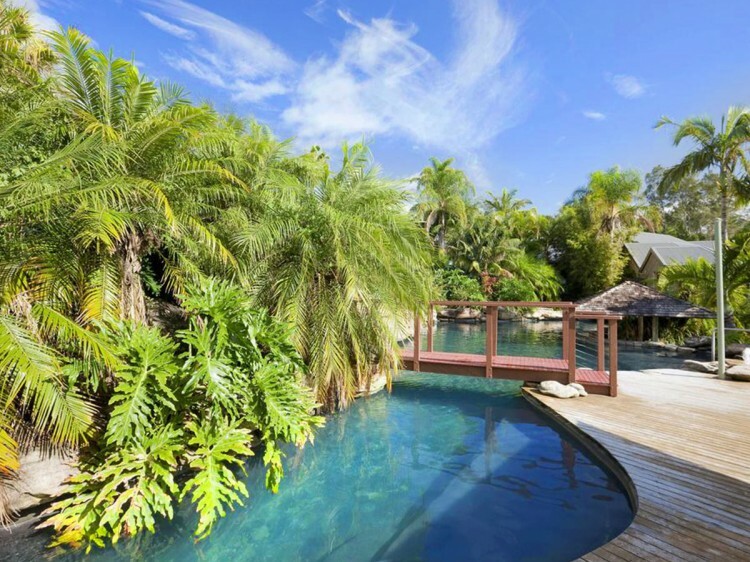 This luxury BreakFree Aanuka Beach Resort Coffs Harbour enables both families and couples to holiday in harmony. Do it all or do nothing but relax and soak up the atmosphere at this award-winning resort. Studio Hotel Room - ideally set up for couples or friends, looking for good value accommodation. 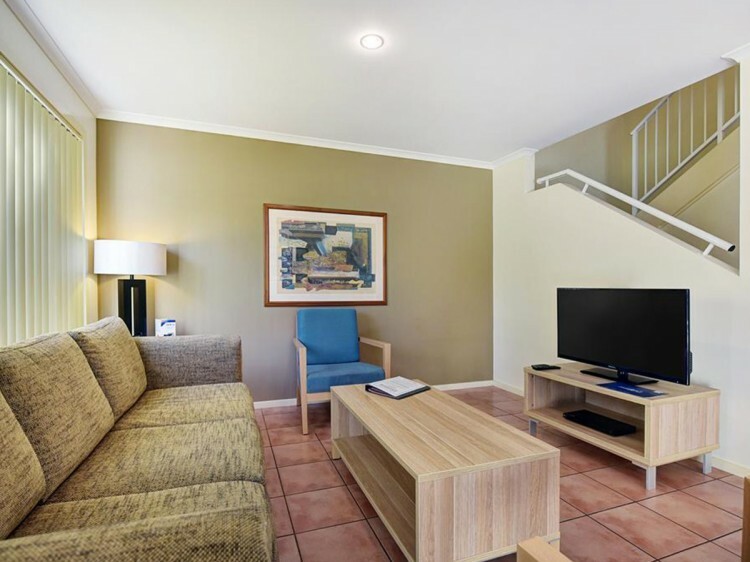 There's everything you'll need for your holiday, with cable TV, DVD, in-room internet access, air-conditioning, tea & coffee making facilities plus a microwave and toaster. Paradise Spa Bure - if you're looking for the perfect accommodation for a romantic getaway, the Paradise Spa Bure really fits the bill. With a king bed and small living and dining area, there's comfort and privacy with room to stretch out and relax.There's a small kitchenette so you can prepare some light meals and breakfasts, and best of all there's an oval spa bath in the bathroom. 2 Bedroom Spa Villa - perfect for the family or group of four, this villa features a fully equipped kitchen, large living and dining area and corner spa bath in the bathroom. There's also a balcony or patio where you can kick back and enjoy a nice holiday afternoon drink. 3 Bedroom Villa - choose from a 3 Bedroom Spa Villa, which consists of a 2 Bedroom Spa Villa and a non-connecting adjacent Hotel Room or a 3 Bedroom Resort Spa Villa boasting a private patio, dining area, bathroom with spa bath, kitchen lounge and laundry. 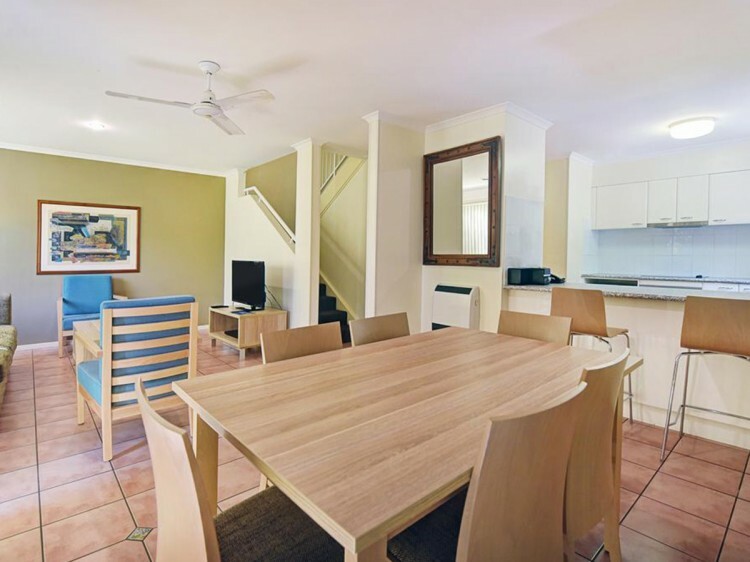 Both types of 3 Bedroom Villas also have an ensuite bathroom with spa bath and a patio or balcony where you can stretch out and relax on your Coffs Harbour holiday. During your stay at BreakFree Aanuka Beach Resort, why not treat yourself to some serious pampering at Mi Time Day Spa. The onsite health and beauty centre has some amazing treatments that will leave you feeling a million dollars. If you're enjoying a romantic break away, the two of you can indulge in a 'lovers package' incorporating hot rock therapy, cleansing body scrub, facial treatments, as well as a romantic spa bath for two with floating candles.There's relaxing spa packages for mums-to-be, as well as 'Little Miss' packages for younger girls, with glitter manicure/pedicure and a mini facial.If you're after something really different why not try the 'Fun in Mud' treatment, you'll feel like a new person after being wrapped in algae clay rich with trace elements and minerals. Casay Bar & Cafe has stunning outlooks with coastal views over the secluded Diggers Beach. The philosophy is simple “The best things in life are meant to be shared”. The restaurant has infused ideas, taste and desires to offer you a memorable dining experience. Enjoy! Casay Bar & Café is open for lunch 7 days and dinner. Comprises adjacent/ interconnecting 2 Bedroom Spa Villa and Hotel Spa Room or are a 3 bedroom apartment.